Last week got off to a quick start. I had just finished writing my last blog post at a café, and as I was walking home I came across this profitable pile. I saved a bunch of great stuff, including my third working iPad of the year, a Zoom digital recorder that I should be able to flip for 60-70$, and a bag of small change. The hair dryer and straightener likely work too, but since they have European plugs I can’t test them. 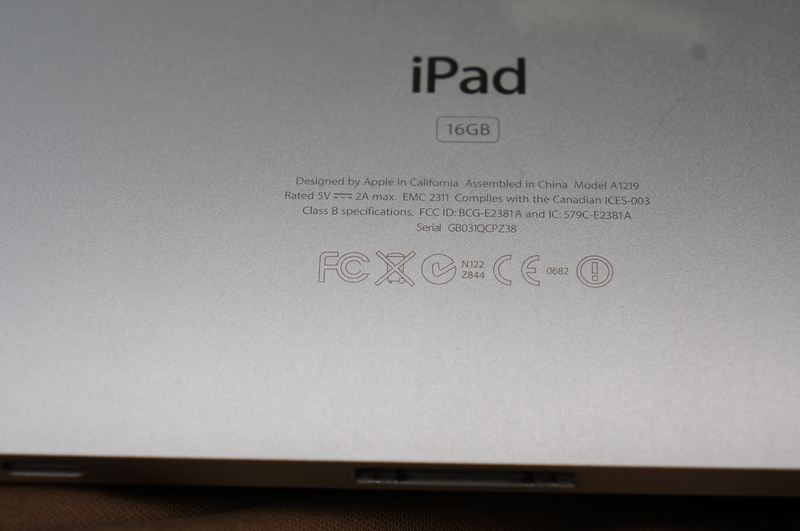 I’ve found so many iPads this year that it’s almost passé. I guess these first generation iPads are old enough now (6 years about) that those with disposable income don’t think twice about tossing them out, especially when they move. That’s a bit disappointing, because even though they’re “old” I wouldn’t say they’re obsolete – they’re still very useful for a lot of stuff. In addition, these sorts of electronics shouldn’t be thrown out even if they’re broken. They contain lots of toxic stuff that shouldn’t be dumped as well as materials that can be recycled. That’s why they have this “no garbage” logo on the back. Anyways, the practice benefits me because a working iPad sells easily for around 70-80$. Otherwise, they threw out a couple of nice art pieces. On the right is a cute vintage print of a Winans “Camel” steam engine, and on the left is a drawing of Tattershall Castle that looks to have been taken from an antique book. I’d have to take off the back to be sure of its age, but if you look closely you can see that there looks to be writing on the other side of the paper. Also, on the back is written in pen: “Tattershall Castle, Stimson & Cole 1722.” My guess is that this references the original book. The rest of the week was actually pretty slow, but I found some stuff in Outremont that might end up making me some good money. It was a good night for bottles, as I managed to collect several dating from between the 50s and 80s from two different places. 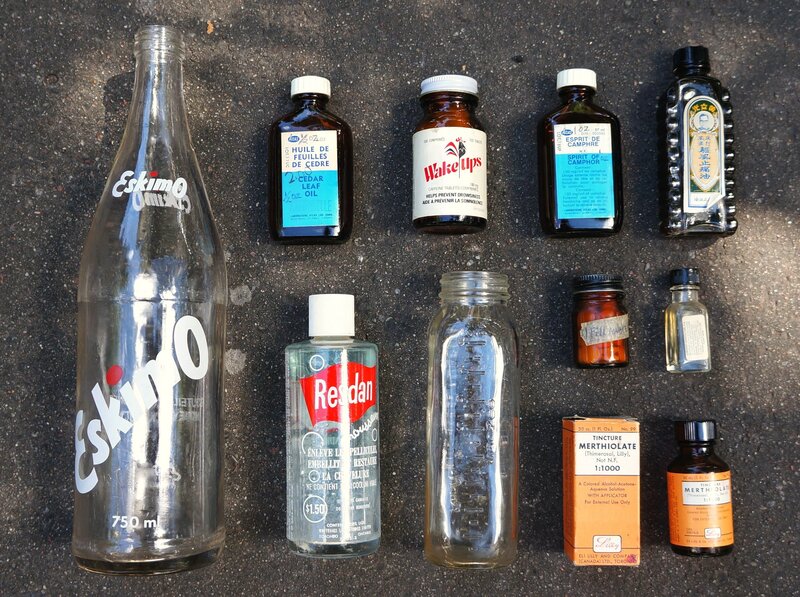 I have a little collection of bottles myself, but most of these will end up in my yard sale box. My personal favourite is the Resdan anti-dandruff shampoo. It was probably made in the 50 or 60s and still contains a bit of the original (and pretty stinky) shampoo. I’ll be tempted to keep that one. This is the first time I’ve come across the unfortunately named “Eskimo” soda. I can’t find any similar bottles online, does anyone remember it? My most profitable find though was a collection of US Army recruitment posters from the 1970s and 1980s. Specifically, they were made to promote the 82nd Airborne Division based in Fort Bragg, South Carolina. The middle one makes a bold statement in saying that the “last step towards becoming a man” involves joining the paratroopers! I listed these three together for 100$, and while I may have to lower the price a bit I’m sure they’ll go for a nice profit. 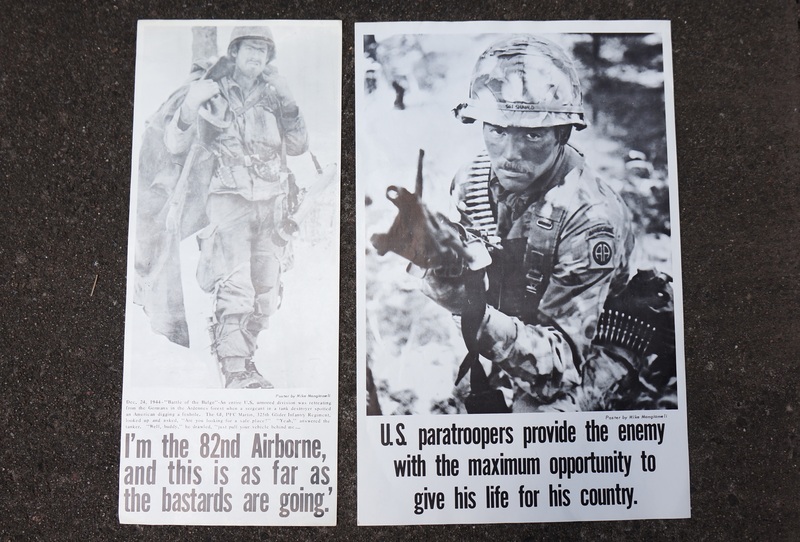 Apparently the poster on the right was pretty popular with the 82nd Airborne at the time. If you google the name of the artist (Mike Mangiameli) you can find a few old newspaper articles describing the poster, and photo of the artist holding one. It was created because, according to one of the articles, “the members of the 82nd Airborne [preferred] a ‘blood and guts’ approach to recruiting to the softer lines the Army’s advertising agencies [were] using. I found 23 near-mint copies of the one on the right. That’s great for me because I get to list 23 items for the same amount of effort it usually takes to list one. Very time efficient! Also, I priced the posters at 40$. Assuming they do eventually sell I’m looking at a profit of about 920$. Pretty good for a night’s work! It remains to be seen whether or not they’ll move at that price, but even at 30$ (which I’m confident they’ll sell at) I stand to make close to 700$ which is still very good. It wasn’t really the busiest week for trash, but thankfully it’ll probably end up being a profitable one anyways. Nice finds. I like checking out your store, such great items that you have found. In your listing for the “Simonds Crescent Saw Tool, Cast Iron Patented 1899” is also called a Saw Set Gauge or Tool. Keep up the scavenging and rescuing these great items from the landfill. Thanks, I added that to the title! I’ll certainly continue to do this for the foreseeable future. Fort Bragg is in North Carolina…..a small point but thought you would want to know….Love your blog. Thanks, I made the mistake copying what I saw on the photo. Glad you like the blog! eskimo was a mtl seltzer & soda co,might be worth a few $,their logo was a serious lookin’ polar bear. Neat, I’m surprised I don’t see much about them online. You’ve found some nice money-makers there. It is somewhat amazing to me that human beings don’t know (or choose to ignore?) that our amazing electrical devices are filled with materials which need to be recycled or re-claimed. And some of the metals come at a very high cost to the ecosystems which happen to exist where they are discovered and then extracted… Deep sigh. Your great work, however, is a wonderful drop in the ocean of consciousness-raising which we human beings need to do in order to continue to be able to exist in large numbers on planet earth. THANK YOU, as always, for your work and for your documentation of your work. It’s true. I figure by saving / reusing / recycling these electronics it makes continued resource extraction just the slightest bit less necessary. By writing this blog I’m also (hopefully) encouraging others to trash pick, and at some point they will save even more electronics. It could make a difference if enough are diverted. I have to keep profit in mind when doing my runs, but one thing I do for free is save old, crappy cell phones. They’re completely worthless to me, but there are electronics recycling boxes in grocery stores nearby and presumably by doing that the old materials will get re-used, or at least disposed of in a responsible way. There’s lots of bad stuff going in our garbage (ie: people aren’t supposed to throw out old paint, turpentine, and etc but they do – and that’s just the beginning) and I only have so much time for non-profit work but saving these cell phones seems worthwhile. Hiya, I love the blog and thanks for sharing with us. Just thought it would be useful for you to know the plugs on the hairdryer and straighteners are British and wont work in continental Europe. Thanks, I presume they will work here if I have an adapter? i would like to know if you sometimes find precious stones, or jewelry materials in your findings. i’m searching for these but i don’t really have much money since my income is very low. i don’t know if you can do something for me, but in any case, i would like to thank you in advance. Occasionally I will find jewelry making stuff. I donated a bunch to Co-op Le Milieu a while back. Rarely are there any precious stones or metals in incomplete form (just in finished bits of jewelry). I find scrap silver fairly regularly but you would have to figure out how to process it. I am stunned by your ipad finds.How can people throw out valuable electronics in the trash and contribute to toxic waste?We are told Montreal is a poor city with high taxes and a lagging economy.I am curious how many treasures someone as sharp as you could find in the trash in wealthy cities like Manhattan/Brooklyn,San Francisco,Los Angeles,etc?Ever wondered?Keep up the genius. Even poor cities have clusters of rich people, and even in bad economic times there are still people who do very well. Otherwise, I don’t think of Montreal as a poor city at this point. It’s not as rich as Toronto or Vancouver, but it’s certainly doing better than rust belt cities like Cleveland, Buffalo, or Detroit. I’d say it’s a “middle-class” city, and there are many people living here who are quite well off. I do wonder though what garbage is like in other cities. Or what the truly filthy rich (ie: billionaires) throw out. I’m sure some are responsible with their things, but I’m sure some mind-boggling stuff has also been casually thrown away by the top .1%. 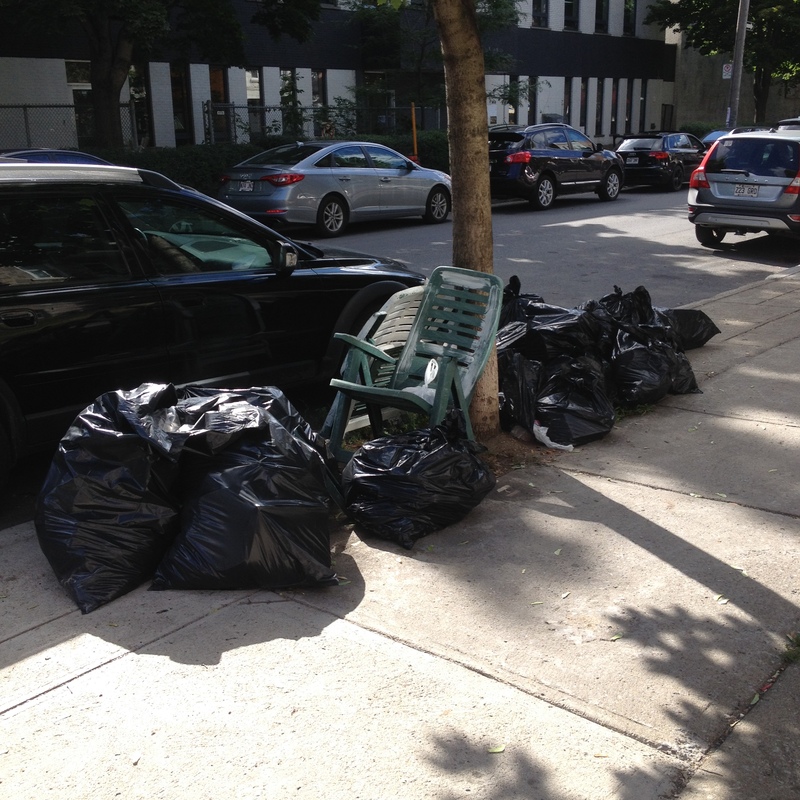 Martin,please patrol Villeray below Jarry street on Monday night or Tuesday morning to check out the curbside recycling and trash there.Streets like Henri Julien,Drolet,Gaspe,Gounod,Villeray and Faillon are not too far from your borough and can offer many surprises. I do go there sometimes. My kitschy finds I’ve mentioned recently have come from that area. I also like to do NDG / Hampstead though which is on the same night. That sounds like a great first date, ha ha. Glad you like the blog. Wow, all the iPads are quite the find. It’s so true about the amazing stuff you find in the garbage. As a junk removal company, we see it every day. From $800 working electronic massage chairs, to TV’s, to renovation products. We actually so much good inventory that we can’t throw it out, and end up auctioning it off instead. You should come see it sometime. Cool, next time I’m in Winnipeg (could be a while) I might check it out. The date I’ve seen for this in Montreal West is Saturday September 24th. I’ve often wondered what would happen on those ewaste collection days? (often done the same day as toxic waste collections) if you stood near the entrance and asked people if they had any good electronic junk. Would the official collectors dislike it? Would many people decide to give the stuff to the odd person, or rather give it to the official collection? Just ran across your blog. Been picking up things on the street for a long time. The Art and Science of Dumpster Diving by John Hoffman. Never heard of it actually! Looks cool though, I’ll put it on my reading list. They had a coy at the Westmount Library, though I don’t know if it’s still there. You don’t have to be a member to sit and read. If they no longer have it, maybe one of the other libraries. If I recall properly, it didn’t say much that I didn’t already know. For a couple of months,you were not gaining many new subscribers.I read your blog posts and notice that with the last post,you have gained more than 80 new followers in one week.If this momentum continues,you will have more than 5,000 subscribers by the end of this year.I live in Illinois and work in a retail store.In my spare time,I scavenge the trash one or two days per week..My boyfriend also joins me once a week .Some middle-class people are shocked in Chicago to see two very good-looking,young,handsome,dapper men rummaging through trash.But it is a lot of fun—And it is great for the environment.Just keep your work going. His work was mentioned in a widely read blog “the nonconsumer advocate” and I’m sure he got more reads through that. Random timing. Yes this is the main reason. I usually gain maybe 1 follower a day normally, but thanks to the mention by the non-consumer advocate I gained about 170 in the past week. It’s always nice to have new followers. Happy to read that my readers are following you! There’s a lot of crossover in our blogs. When you started your blog,I remember you wrote in your intro that you had a university degree in sociology.Now I notice that you no longer mention it .Maybe you should put it back in the intro to remind readers that you are a very educated guy who is doing something different and innovative because traditional employment was not rewarding enough for you.You should mention your sociology degree in the intro,me thinks. It’s not a bad idea, maybe I’ll work it back into the intro at some point. First off, I love your blog! I’ve only recently discovered it after taking a serious interest in trash picking. I drive to work through a few nice neighborhoods and work in a university neighborhood. One day I looked out my office window and saw three perfectly good wooden chairs in the dumpster. I fished them out, glued a couple parts to tighten them up and donated them. And so it began…. ha! I have two university degrees and my newly acquired hobby inspires me more than my ho-hum office job. My family has always recycled the usual household items, but this is an entire new frontier! You inspire me! Keep up the good work and I’m thrilled you can even make a living doing it. The poster on the left ( arrowhead with sword and three lightning bolts) is actually Army Special Forces ( green berets), not 82nd Airborne. This may be beneficial info when listing. Love your blog, been following you for a long time, ever since I heard you interviewed on the ScavengerLife podcast.